“He was our father, our brother, our everything,” says Corbella. “Without him, we would not be here.” Company namesake Eugenio Monti Colla recently passed away. Corbella remembers when Colla came to speak at his school. He was mesmerized and doesn’t remember how or exactly when it happened, but he says, " I became a pupeteer withought even thinking about it." Now, as he stands before a crowd of nearly 100 third, fourth and fifth graders from Meeting Street Academy in Charleston, he feels a duty to pass on a tradition that was handed down to him. These are kids who otherwise would likely never see a Spoleto event, much less a marionette show from a world renowned puppet company. Some wiggle in their chairs as the old stage floor creaks beneath Corbella’s feet. He and his team of 15 puppeteers are dressed in brightly colored overalls of red and blue. If they look like toy makers, in some sense they are. He shows the children how the marionettes are made, hand carved from wood with realistic, glass eyes. 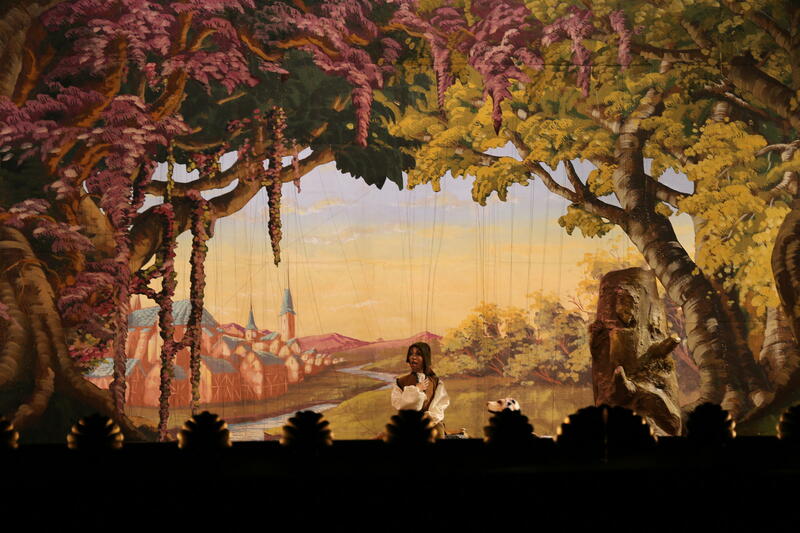 "This is a naked marionette," he says. The children giggle. 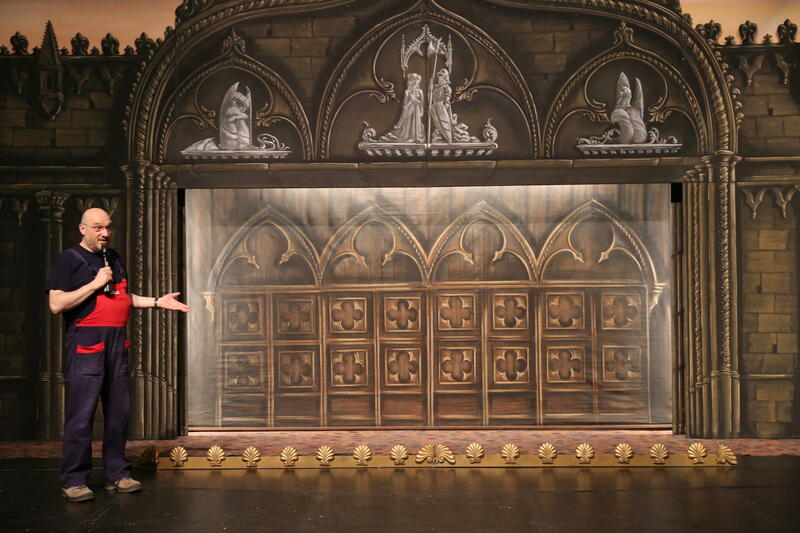 The unclothed carving prances across the stage, even taking a curtesy thanks to the short strings attached to the bridge that one of more than a dozen puppeteers is handling. 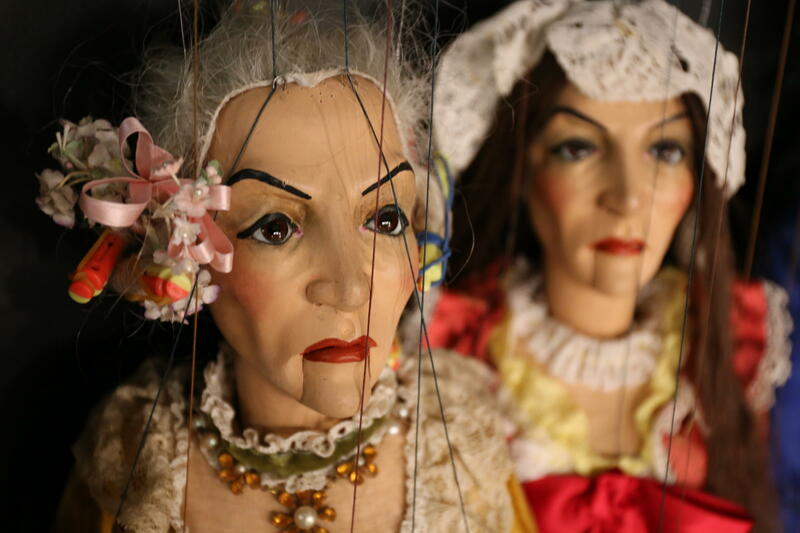 There are some 2,500 marionettes in the companies collection with more than 8,000 costumes. Corbella and his mostly Itallian speaking team bring them out next. They are ornate and hand sewn. The handcrafted jewels looks exquisitly real, but they are not. The puppet wigs are crocheted strand by strand, even wrapped up in rollers before a show. Corbella admits it's a lot of work, but part of the bigger illusion for what he calls the world's first beautiful actors. 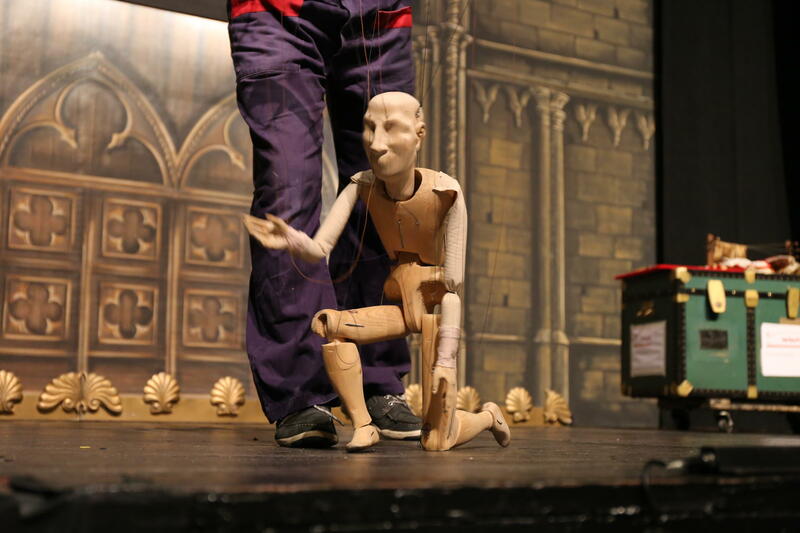 The children are invited back stage, where they come face to face with puppet people and those who pull there strings. There are no words to describe it. Listen to the audio clip above. Piero Corbella’s work is done. He has pulled the strings on hearts and minds, and tiny smiles, as they were pulled for him. "Yesuh," he agrees in the most beautiful, Italian accent.